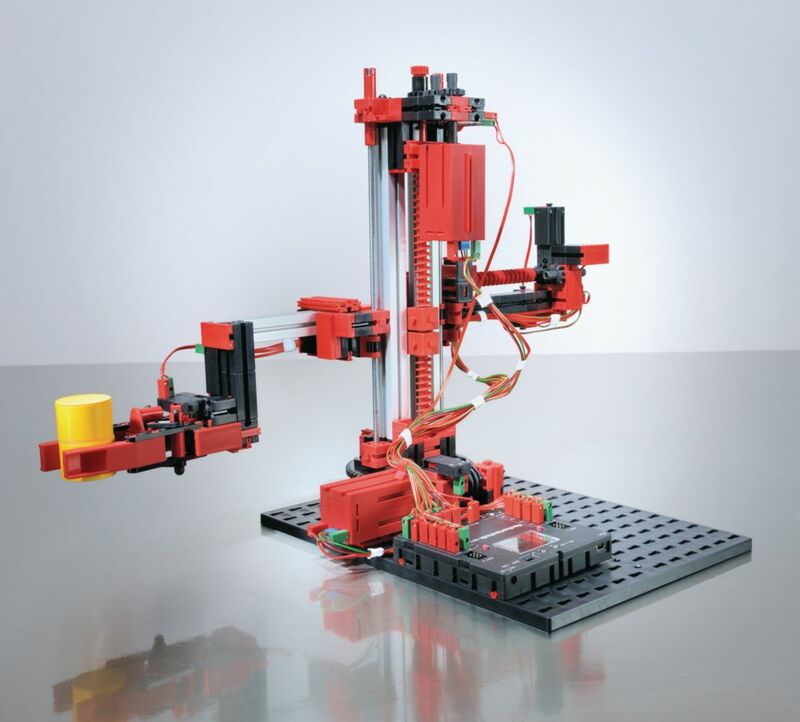 These three-axis, industrial simulation robots feature a gripping device. the first shaft rotates 180°, the second shaft rotates forward and back 90 mm and the third shaft moves up and down 150 mm. Robot total dimensions are 390 x 200 x 30 mm. Robots are mounted on a stable wooden board and include the Fischertechnik ROBO TX controller. Ordering information: Robots come with four DC motors, including two with integrated magnetic encoder (max. pulse frequency is 1 kHz). Four limit switches, two pulse sensors for path measurement, eight digital inputs and eight 9V outputs. Robots require Fischertechnik Energy Set, available separately.